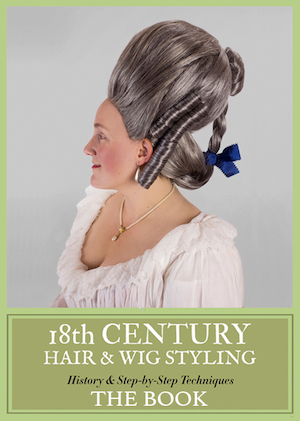 Attention all American historical costume movie fans! Kate Winslet‘s 1950s-set The Dressmaker FINALLY opened in US theaters this past Friday. 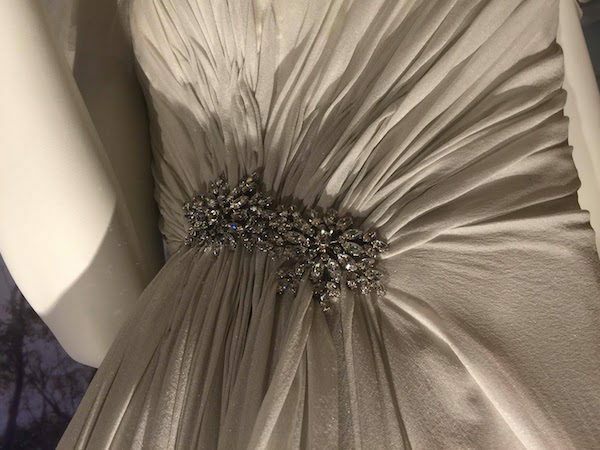 I got to see a sneak peak, but I promised a fuller review and here it is! The Dressmaker is an adaptation of a modern novel. Winslet plays Tilly, who grew up in a small town in remote Australia. Some kind of childhood tragedy occurred, and Tilly left town. In the intervening years, she moved to Europe and studied and then worked with many famous couturiers. Now, she’s back in town with her sewing machine, determined to reconnect with her mother (the fabulous Judy Davis) and figure out said childhood tragedy. Along the way, she both reinvigorates her hometown AND gets revenge on all the bastards what did her wrong, and hooks up with a local cutie (played by Liam Hemsworth). I found the film enjoyable, although I wasn’t totally convinced by the romantic aspect of it (and I think it would have been better without it). Nonetheless, both Winslet and Davis are hilarious and touching, and if you like either/both actresses and/or 1950s costumes, you’ll want to see this film. One nice bit of information is that Winslet had taken sewing lessons before working on The Dressmaker so, as designer Margot Wilson said, “she had a sense of the sewing terminologies and she understands what works on her and what doesn’t” (‘The Dressmaker’ Costume Designer Margot Wilson Talks Kate Winslet And The 1950s Silhouette). What’s interesting about The Dressmaker, from the how-the-costumes-were-designed-angle, is that there were, unusually, TWO costume designers for the film. Margot Wilson designed Kate Winslet’s costumes, while Margo Boyce handled all the other cast members. According to Boyce, this division of labor made a lot of sense: “When you’ve got someone (like Tilly) who’s actually got 30 odd outfits themselves, and then the rest of the cast, it’s actually, you can’t give enough space and time. I’d never worked with Margot before, she’s got a terrific body of work. It was actually quite a good way to do things” (Costuming The Dressmaker). Wilson’s task was to show how different Tilly (Winslet) was from the rest of the town (The Dressmaker’s Maker). Both designers agreed that, according to ClothesOnFilm.com, “Tilly should be more restrained, so ‘nothing too flouncy,’ with strong silhouettes and strong dual colours (like red and mustard, purple and green) as well as black – a far cry from what the rest of Dungatar [the small town] was wearing. ‘We wanted to keep her simple and structured and, you know, effortless,’ says Wilson. ‘Keeping in mind too, Tilly is a couture dressmaker – that’s how she’s portrayed – not necessarily a French designer. So it had to, while making her look fantastic and spectacular, (it couldn’t) sort of take her into the genre of being portrayed as a designer'” (Costuming The Dressmaker). 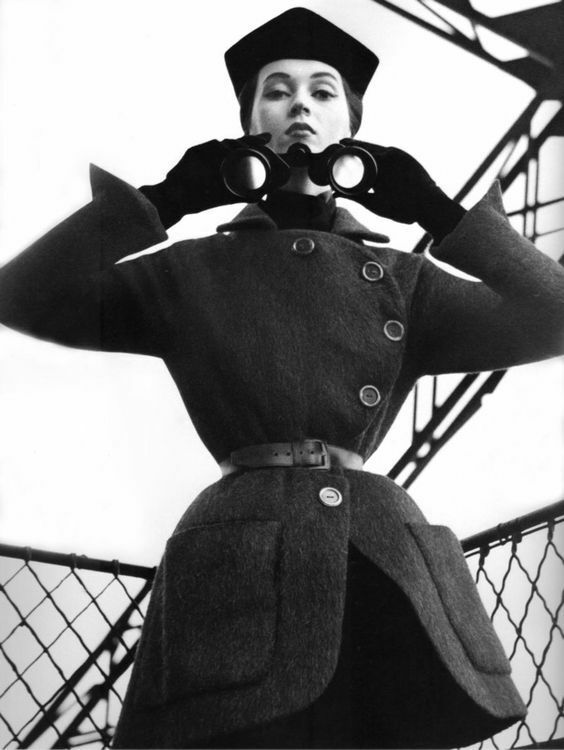 Fashion photograph by Richard Avedon, 1950. Just as most of Winslet’s wardrobe was custom-made for the film, Boyce has said that they made many of the pieces for the supporting cast: “A lot of stuff was made, even down to the chemist with his hunchback. There was an enormous amount made, all of the big frocks we made. Look, even a lot of the day stuff we made. Even the beautiful day dresses for Marigold…so we can actually get a particular palette. Nearly all of Molly’s stuff (Judy Davis…) was made, so we could actually get that really beautiful decay. The state that she was in when Tilly found her was incredibly sad. So to be able to achieve that, we actually have to make it, and then build up colour and texture and create that sort of very depleted look” (Marion Boyce: Costuming the Cast of The Dressmaker). At one point Una, a rival dressmaker, sets up shop in the same town, but her designs and execution are shoddy. Boyce said, “Oh the bad Una! I love her. That was her nickname from us. We called her the bad Una (Sacha Horler…). And you now, it was actually quite hard for the cutters to actually make the bad Unas – like, no you can’t finish it, no I don’t want mitered edges – and it actually hurts them to finish things badly! It’s not in their training” (Marion Boyce: Costuming the Cast of The Dressmaker). I love the thought of the costume makers getting twitchy! I don’t know if I LOVE the red gloves, but they certainly do bring this dress to BEYOND over-the-top. “With Tilly heavily inspired by Dior, Wilson made her own tribute to the French design house in form of Tilly’s golfing outfit. 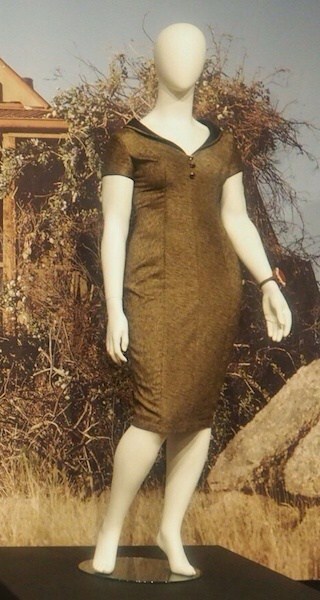 The stiff structured navy dress with white embroidered sleeve cuffs and collar is pinched at the waist with a thin brown leather belt, and includes loopholes at Winslet’s hip for placement of her golf tees. ‘The ladies from the House of Dior, they all wear these white coats,’ Wilson explains, ‘So that was my little tribute to her, or to them, rather'” (The Dressmaker’s Maker). I love anything sporty and any color-with-white (or off-white), so count me in! Although I’d like to add a belt. This black dress was uber-structured, says Wilson: “I didn’t want to have Kate hitching [the dress] up. We built Kate a whole lot of underwear that you never saw to reinforce that 50’s shape, that solid look” (The Dressmaker’s Maker). This mustard-and-black swing coat is just fabulous, although I wonder how Winslet isn’t sweating up a storm… and I love the Asian-inspired shape of the hat. It’s not ALL OTT couture, on the other hand. Winslet does wear some casual clothes for sewing, which, thank god. Because sewing in a girdle would be torture. It’s actually hard to find many photos of the pre-transformation townspeople. You need to realize that they ALL look like Gertrude (left) or even shabbier and more 1930s Depression. Under Tilly’s expert eyes and hands, however, she begins by transforming Gertrude into the belle of the ball (and also reminds us all of the power of great lipstick). Gertrude gets the best of Tilly’s work. The pleating on this cape is wonderful and definitely conjures the bird motif Boyce discussed above. 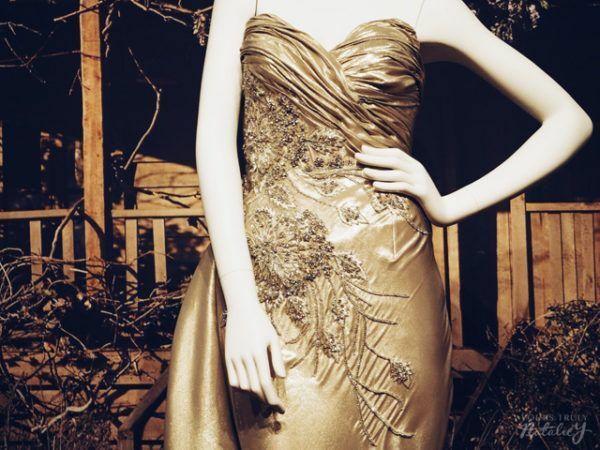 The draping on this pale gold satin number is really gorgeous. This is probably my favorite costume from the whole film, however. Red and white? Polka dots? Swapped colors? Gorgeous drape? YES YES YES and YES! The costumes went on display in Australia, so you can find lots of shots of them on mannequins if you’re so inclined. The rest of the townspeople look amazing, too, however. Notice how Tilly doesn’t just do evening glamour but also fabulously chic daywear. Hugo Weaving is the fashion-obsessed local policeman who quickly becomes Team Tilly. He’s a little stereotypically gay, but it’s fun. But I thought this close-up was too stunning not to include! So, if you like Kate Winslet, like fashion, and/or like the 1950s, see The Dressmaker. You’ll be glad you did! 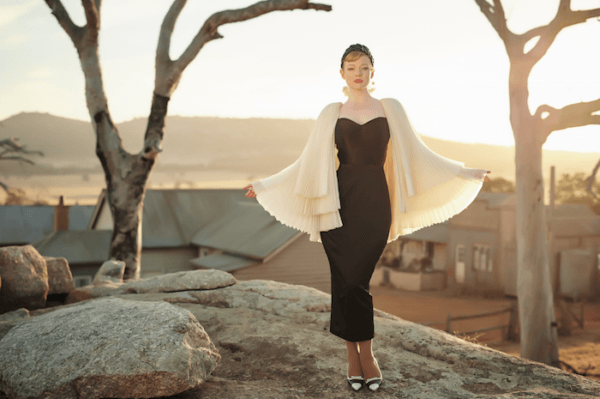 Have you seen The Dressmaker yet? Even better, have you seen any of the costumes on display? What did you think? I plan to see the film when it opens in my hometown of Baton Rouge. I find the premise very unique, special and beautiful. 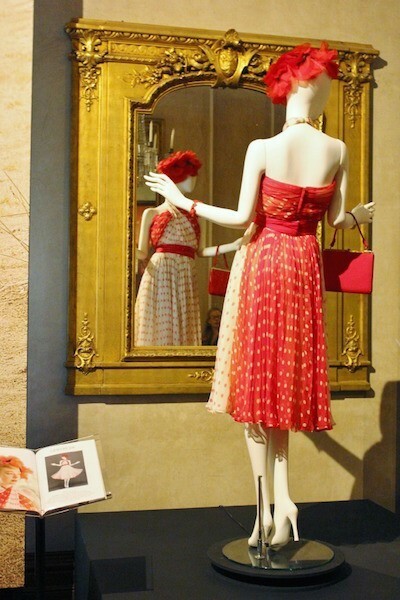 The clothes of the era are so timeless classic and gorgeous. With designers like Dior, Givenchy, Charles James, and Chanel to lead the way; how could they not be. I just saw it yesterday! The movie is definitely a lot darker than it appears in the trailers, but it was still quite enjoyable and the costumes were totally AMAZING. And Judy Davis as Tilly’s mom is awesome. My only gripes were a) at one point Kate’s dress gets unzipped and she wasn’t wearing a girdle underneath. I was amused at how movies and TV always seem to think nobody wore underwear throughout history, or that showing people having to remove their support-wear is too unsexy. b) the standard ‘glasses = ugly girl, remove glasses and now she’s pretty’ trope. So is Gertrude just walking around half-blind but fabulous now? … there’s one point where she makes costumes for a theatre group and the audience is clearly meant to be wowed by them, but I took one look at them and knew they were nothing more than imported kimono. Worn really badly, I might add. There is no way that Tilly made those. They’re 100% straight from Japan. So the impact there was kind of ruined for me. >_> I guess if you don’t know anything about kimono, they might seem impressive. I live about 20 mins from where it was shot… if you have clothes that amazing, you wear them to the supermarket, the post office and yes even changing a light bulb. I was wondering that too! Thanks for the catch. LOVE this movie. 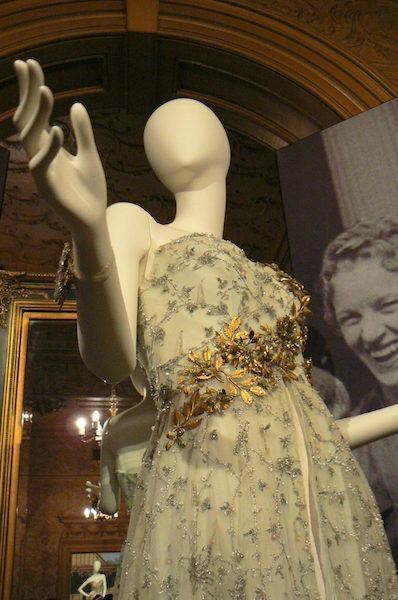 I was lucky enough to go and see the exhibition too – so great getting to see the garments up close. The dress at the end of your article was warn by Trudy. 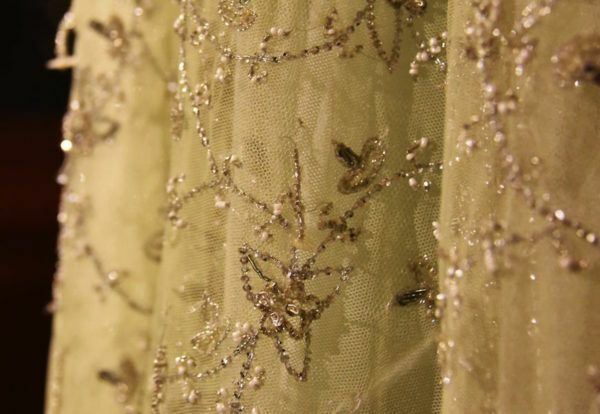 The shimmer on the fabric was actually painted on by the costume designers. Ohhhh now I’m dying to see this but it may never come to my town. . . . I hate having to wait for DVD releases!! 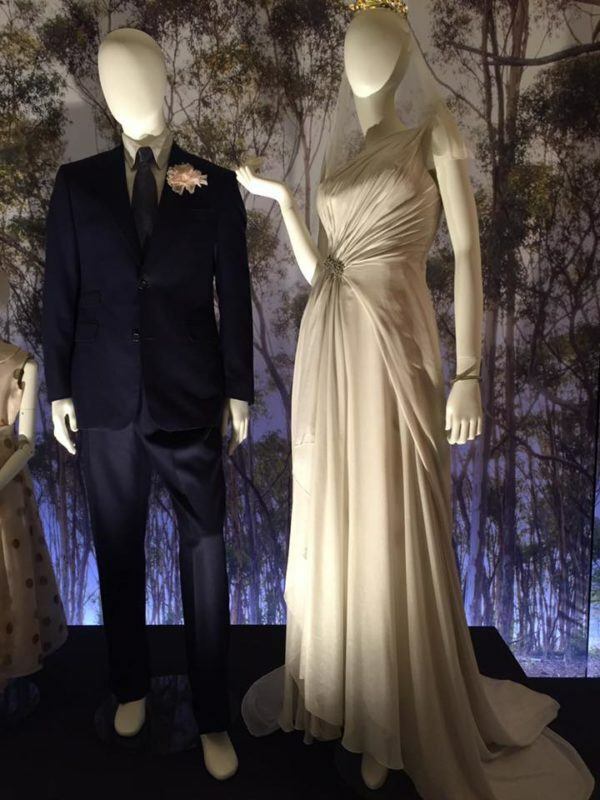 Yeah, the grey dress was Trudy’s wedding dress, complete with the orange blossom crown. The clothes in the film were really fun! But, minor gripe here, did anyone else think that Tilly’s red shoes at the ball game had really modern heels? I just got to see this (thanks Amazon Prime!). I LOVED IT! It was a lot funnier than I was expecting and so many lovely references (Hugo and Priscilla, Strictly Ballroom matadors) and I have to say the Liam scenes were wonderfully HOT.Truly a very good movie!! Oh, and the costumes…brilliant! finally got to see this. Such beautiful costumes. 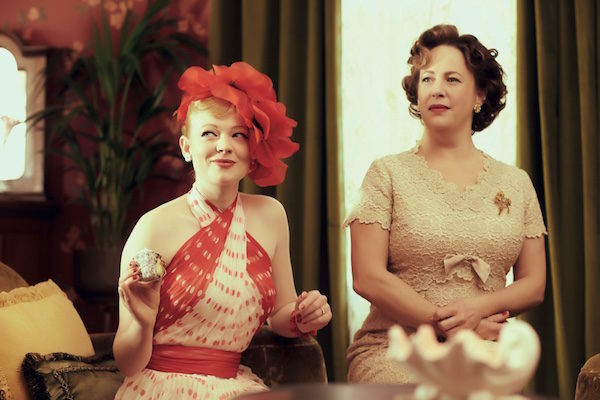 My mom used to have a hat very similar to the one Tilly wears in the first scene. That hat flattered any one who put it on. ANd I agree with a poster above – she would have been wearing a longline strapless bra under the unzipped dress.